How do you find a book club? Where are book clubs? What are the possible benefits? Goodreads.com lists 710 groups with diverse interests in countries as far flung as Malaysia and as close as Mexico. Clubs are focused on innumerable subjects – business, feminism, films based on books, gardening, LGBT, memoir, politics, romance novels, science fiction, Japanese thrillers, YA (Young Adult fiction), those that have won awards, etc. There used to be clubs on radio and TV you could listen to, participating only as a reader – The Oprah Winfrey Show, Good Morning America Book Club, NPR’s Book Club of the Air with Ray Suarez, and even a “Wake-Up Reading” Club in Spanish hosted by Jorge Ramos on Univision. Now, there are special book news reports on TV (mostly PBS), as well as podcasts that stream 24/7 on on-line radio programs. In June of this year the American Library Association inaugurated, with actress Sarah Jessica Parker, a new book club, a national book club. See http://www.bookclubcentral.org as well as the live video link from ABC News in the reference section below. The Book Club Central link will show you how to register for the newsletter and club if interested. I imagine most of the recommended reading will be similar to Oprah or Costco picks, award-winning fiction with original voices. But for those of you who love reading, AND those of you who enjoy social engagement and dialogue over listening to radio or TV reviews/interviews, there are book clubs, probably in your own community. 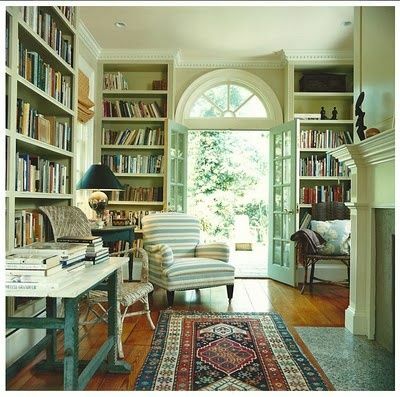 (If the home above were mine, I would invite book club members to meet. I’d add comfy pillows to the wicker love seat, another club chair, a sofa. I’d distribute books, serve tea, and delight in the company and the exchange). 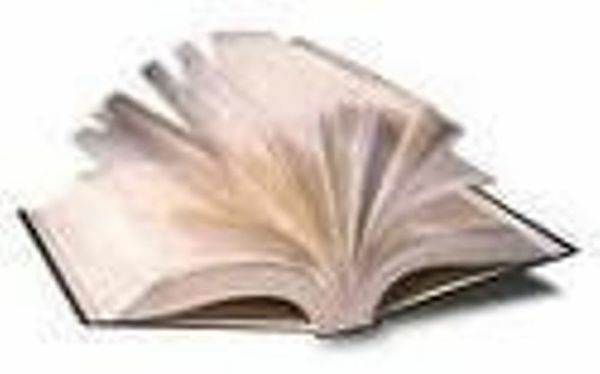 The easiest ways to learn about local clubs are to ask local writers, writers groups, and librarians; look on-line for book groups at http://www.MeetUp.com (search by city, state, country); search community bulletin boards and activities listed in newspapers; or, Google what you wish to find. And if there isn’t a club that matches your preferences, perhaps you can start one. In August of 2016 an enterprising Canadian accountant, retired, decided to start a non-fiction book club at Lake Chapala, Mexico, about an hour south of Guadalajara, the country’s second largest city. His plan was to discover and read engaging English-language books, and, attract members of the community who represented diverse nationalities, experiences, and opinions. “In a world of growing polarization and conflict, the members of the Ajijic Book Club, in a spirit of celebrating the oneness of humanity, seek to engage in civil dialogue with each other especially when confronted by deeply held opposing views,” states the founder. Even though some of the residents at the lake are snowbirds, living only six months a year in Mexico, others reside full-time, up to and including residents who are published authors. To discuss various subjects the Ajijic Book Club has gathered psychotherapists (one an author), a lawyer, an American MD (also author) who worked for the World Health Organization, a businessman (also author) who started a hospice in Canada, a non-profit administrator from the states who became a yoga teacher, a Canadian English literature professor born and raised in Germany, a retired Canadian foreign service officer, an American hospice nurse, and the founder, Dutch born but raised in Nova Scotia and Calgary, among other members. Benefits of book clubs? Meeting people in your community, exchanges on subjects you are passionate about, a way to expose your book if you are an author, a way to keep your mind sharp no matter where you are living on the planet. Ex-pat (not a term I favor) book clubs around the world, which include not only Americans but Aussies, Brits, Canadians and other nationalities, can be found in Abu Dhabi, Australia, Hong Kong, Istanbul, London, Paris, Singapore, The Hague, Tokyo, and a myriad of other places. The Paris meetup calls itself the Paris Anglophone Book Club. It has over 2,000 members.